Honest Charley | Just Shooting Memories! Surely by now you know I have a thing for classic cars. I love to go to car shows and see them all lined up. It’s like going to Disneyworld. I can get my senses overloaded in a very short time and I don’t have to go all over the place. However, sometimes I find the rare gem riding around all by it’s lonesome or with only a couple of friends, like the Flamin’ Chevy. This was one of those I found outside a local dining establishment. In fact, this used to be a Tasty Freeze, but I doubt there are many out there that remember it as such. Points to anyone who can name what it is now. Nice classic! 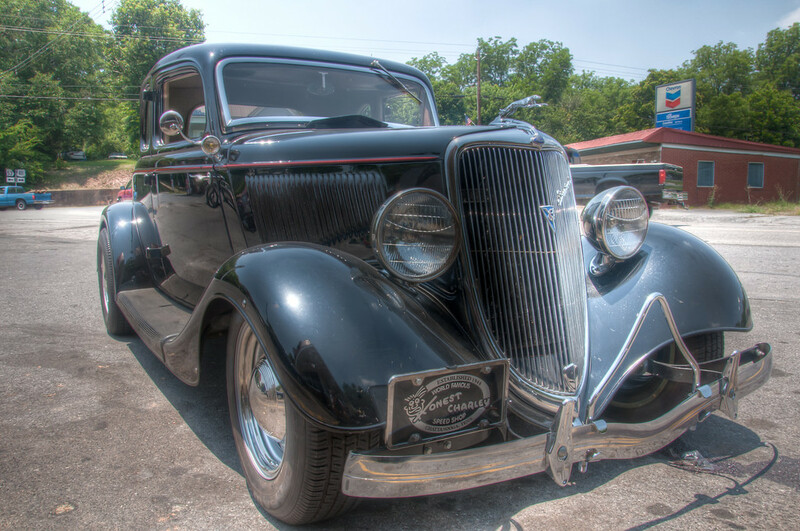 Of all the cars, the early ’30s are my favorite. I’ll take a guess as to the new name… Dairy Queen? No, this one will be pretty hard unless you live near here.